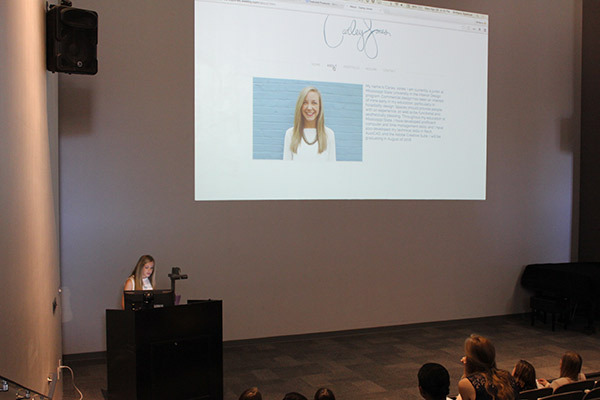 I had the privilege to teach Self-Branding Studio again for Spring 2016. It was formerly called Advanced Computer Studio and was blogged about under this name in the past. However, I think Self-Branding Studio is more telling of what the class is about. 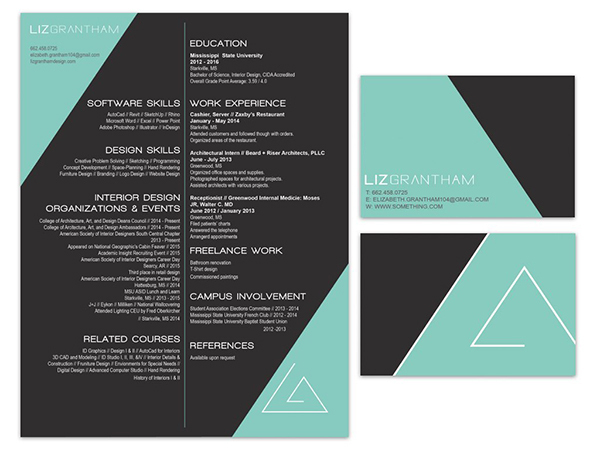 These students are non-graphic design majors that want to focus on professional practice, and determine a “brand” for themselves to create personal designs for a logo, business card, resumé, and portfolio website. It is a helpful way to prepare upperclassmen for graduation. This was by far the most diverse group of students I’ve ever taught in one class. They were all strong entrepreneur types! We had 9 students representing painting/computer science, landscape architecture, concept art, painting, photography, digital art, and business majors with a minor in art. Their career goals were even more diverse! More on that to come…. Due to the number of differing majors and goals, there was not enough time to interview each guest as a class as done in semesters past. So this semester I assigned for the students to interview their chosen artist or business professional outside of the classroom in-person, by phone, and/or by email to get the answers they personally were curious about. They turned in their email conversation proof of determining an appointment time or plan to visit, their list of questions, and final notes from their time together. Then we took time to discuss as a class the high points of what they learned in their conversations. Students completed a personal assessment of writing exercises to determine how to brand themselves, and in turn designed their own logo, business card, resumé, and portfolio website. I am featuring the strongest work below. Candace is a multi-talented girl with many interests. She’s working on her Bachelor of Science in Computer Science with minors in Art, Piano, and French. 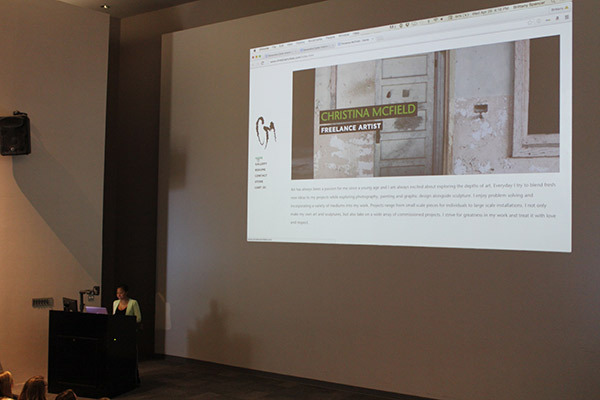 She envisions herself to be a website coder by day, and freelance artist by night. For this class, she wanted to focus on her painting business. The watercolor turned out beautifully for her logo. To add a fun spin to her last name, she decided to add an X to turn Moreau into Moreaux. DaVartay is a big-hearted guy with a dream to flip houses and use them to build a positive community for families who are going through hard times. His Glamour Residential homes would provide quality, safe, cheaper housing to get them through their temporary tough season. The goal would be to provide other services to the families to help them rise above their situation and be able to comfortably move out and move on to even better things. “Rambo” is a colorful guy that wants to pursue a career in Concept Art. To illustrate his many abilities, he developed the acronym DOPE to stand for Designing Objects and People for Entertainment. Justin wants to pursue a fashion design career, particularly in the contemporary urban clothing genre with his line Omni. He wants to offer quality goods at quality prices. Ki’erre is a skilled guy in painting and digital art. He wants to run his own artist studio one day! Becca and her sister have the ambition of opening their own bakery together called Wells Bakery– a family name that is no stranger to being used for other family businesses. Becca is an experienced baker and has many creative ideas to set their bakery apart from potential competition with what they can offer. She envisions a family-friendly bakery by day, dessert and alcohol bar by night. Taylor is pursuing her dream of being a video game YouTuber under the name Naught Panda Chan, as well as an artist. She’s hoping to spread laughter and happiness to those who watch her videos. Terrence has a particular interest in producing digital art, and wants to run his own graphic studio one day. I wish all of these students the absolute best of luck in all their endeavors! * Special thanks to Professor Suzanne Powney for stepping in to teach this class at the start of the semester while I was on medical leave! 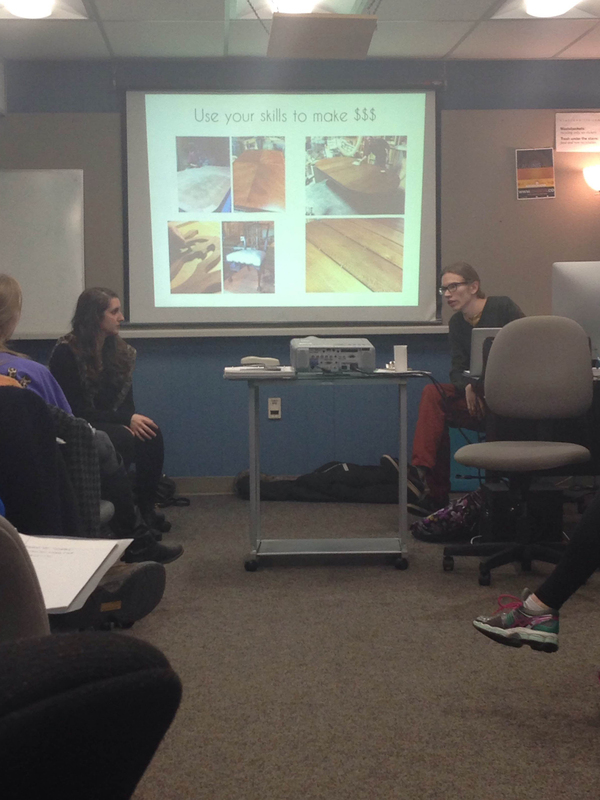 I had the privilege to teach Self-Branding Studio again in Fall 2015 and Spring 2016. It’s formerly called Advanced Computer Studio and was blogged about under this name in the past. However, I think Self-Branding Studio is more telling of what the class is about. 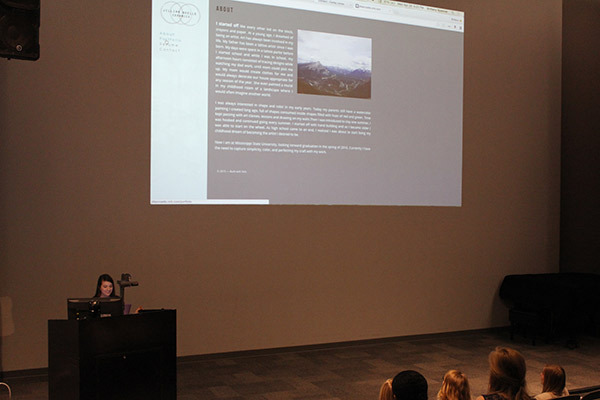 These students are non-graphic design majors that want to focus on professional practice, and determine a “brand” for themselves to create personal designs for a logo, business card, resumé, and portfolio website. It is a helpful way to prepare upperclassmen for graduation. I taught 5 students during the Fall 2015 term for this class. We interviewed guest artists as a class who were chosen by the students. We communicated in person, by email, Skype, or conference call. This provides a great opportunity to learn tips from professionals to better prepare the students for a career in the arts. First guest was MSU photography class of 2012 alum Blake McCollum. Blake gave advice for how to run a successful photography business in a small town, and how to network locally. At 26 years old, he is an encouragement to students that want to pursue a freelancing career directly after graduation. Second guest was Vermont sculptor Chris Miller. Chris specializes in figurative and representational art carved from granite, wood, and marble. He tends to work at a large scale and had many interesting stories about his clients and projects. We Skyped and learned from his stories of trial, error, and success after many years working in the art business. We appreciated his transparency and honesty. Third guest was British illustrator Yvonne Gilbert. Now living in Canada, Yvonne has experience illustrating children’s books, stamps, posters, and record sleeves with the most intricate colored pencil work. Upon research about her and her art, we felt pretty starstruck as we spoke to her by conference call. Celebrities own her original artwork as part of their private collections. She even has her own Wikipedia page! We loved her sweet humor and stories about how art shifted in relation to events throughout history, and played a part in her own style and business. She also described how she has made her living off her art without the help of a computer; everything she produces is hand drawn from start to finish. Like Chris, she shared the hardships and victories of a lifetime in art, and is proud to say she is an artist. Fourth guest was concept artist Jin Yung Kim. Jin makes art for video games, films, and animations in San Diego, CA. Most notably, Jin has done work for PlayStation! We emailed Jin our questions and received a thorough response about a career in conceptual art. Lastly, we emailed questions to California painter Michael Page. Michael’s work offers the viewer an optic alternative to the visual reality of life, as we know it. His imagery is rendered in a rich color palette of swirling and flowing shapes and line that create dynamic movement. 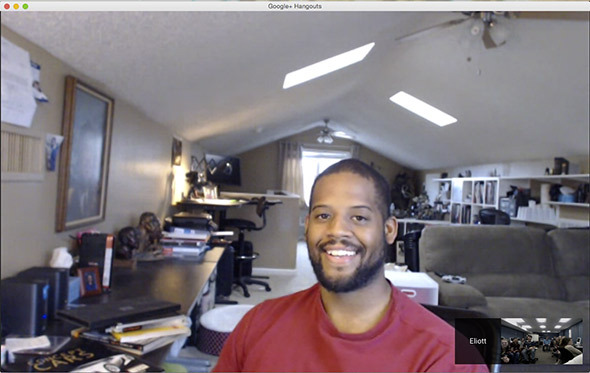 He provided good advice for networking, and balancing family life with a home studio. Students completed a personal assessment of writing exercises to determine how to brand themselves, and in turn designed their own logo, business card, resumé, and portfolio website. All of these students are now seniors or graduated! I wish them the absolute best of luck in all their endeavors! 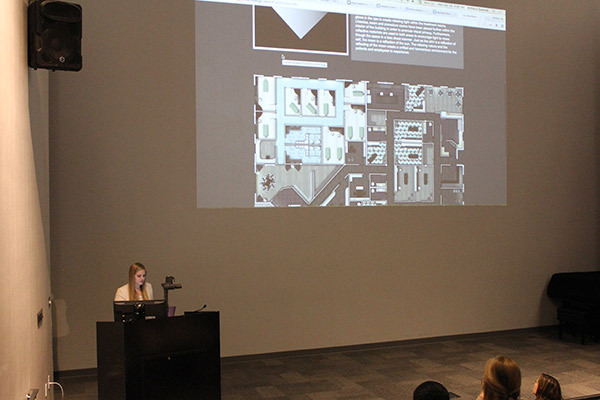 Last week our class held a public slideshow presentation highlighting the work that was done this semester in Giles Auditorium at Mississippi State University. 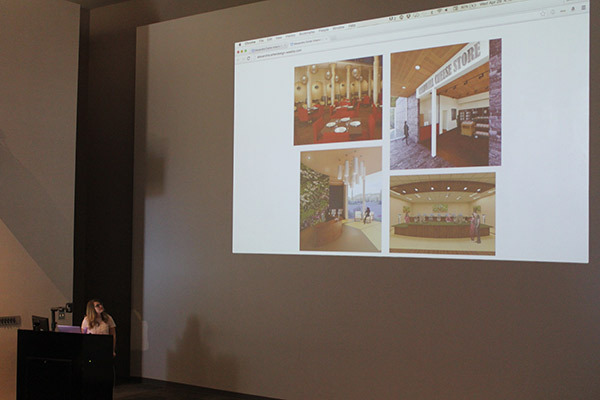 To start things off, I spoke about the professional guests who visited us in-person and online. Then each student proceeded to the lectern to speak about their career goals and present the promotional designs they completed. Below are photos taken by Aaron McElfish of the presentation, and images of the slides showcasing their logos, resumés, and business cards. Incredible professional guests have donated their time to my Advanced Computer Studio students to discuss their work experiences and answer questions. 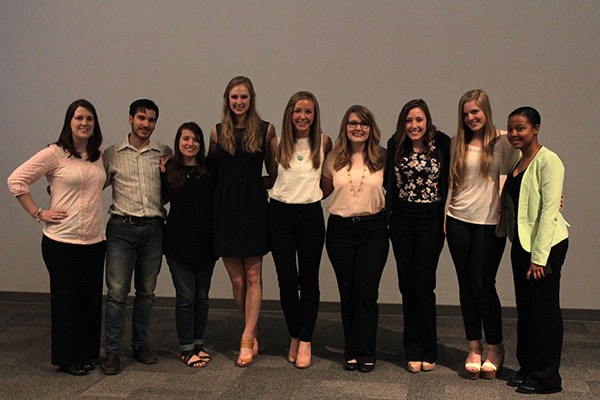 This blog post is the final installment about the people who visited with us this semester. Read about the others HERE and HERE. 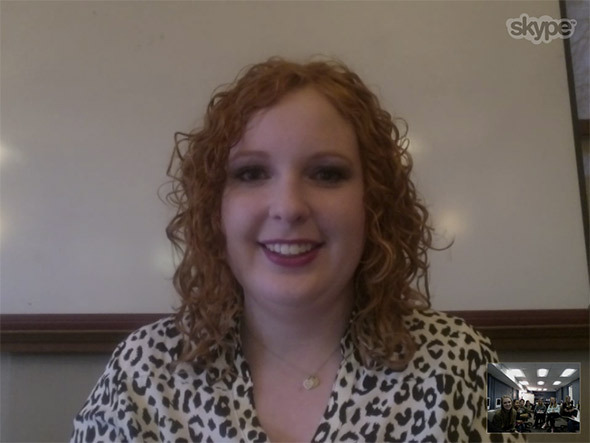 Our fifth guest visited us via Skype– Amie Oliver. (3/23/15) Amie is a painter and professor at Virginia Commonwealth University in Richmond, VA, teaching painting, drawing, and mixed media. She also works as a lecturer studio practitioner for John Tyler Community College in Richmond, VA. Amie offers art workshops and private studio consultations for students and artists at every age. She received her Bachelor of Arts degree from Mississippi State University in 1982, and was given the 2013 Distinguished Alumni Fellowship Award, for the College of Architecture, Art & Design. She completed her Master of Fine Arts at Bowling Green State University. Amie’s work has been exhibited in hundreds of solo and group exhibitions around the world, and is in numerous corporate and private collections. Amie’s body of painting and drawing artwork catalogs the passing of time and the subtle and profound impact of entropy and the elements of the material world. These images explore drawing and painting with permanent ink on water resistant paper, creating dreamlike shapes. Ink is her primary vehicle for her body of work as it can be opaque or transparent and stubborn in its permanence. 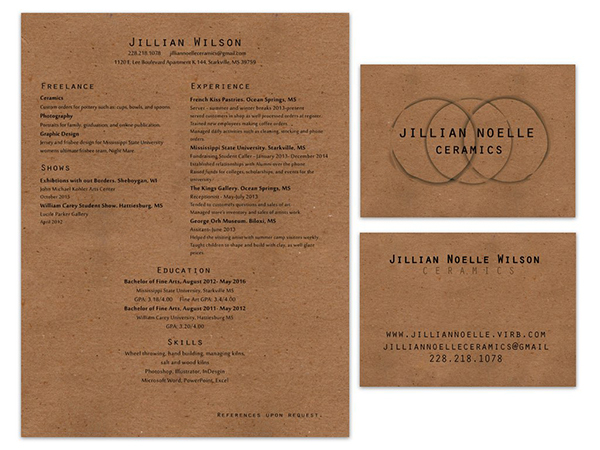 See her portfolio website HERE. 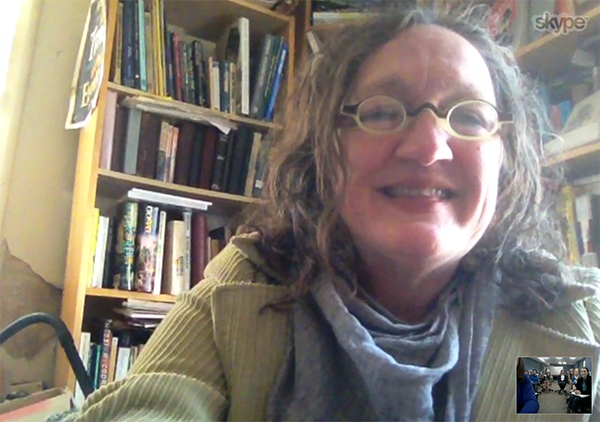 Our sixth guest visited us in-person– Anna Chaney. (3/30/15) Anna and I graduated from high school together, and we proceeded to have college classes together at Northeast Mississippi Community College and at Mississippi State University. 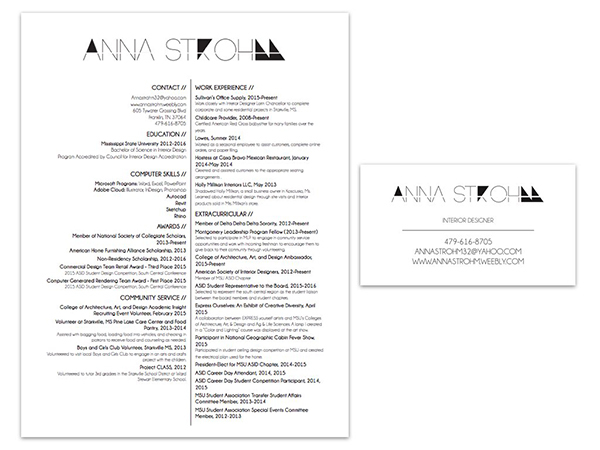 While I got my degree in graphic design, Anna worked for her degree in interior design. Today she is the Lead Product Designer at Flexsteel Industries in Starkville, MS. Flexsteel’s focus is in hospitality and commercial office solutions. 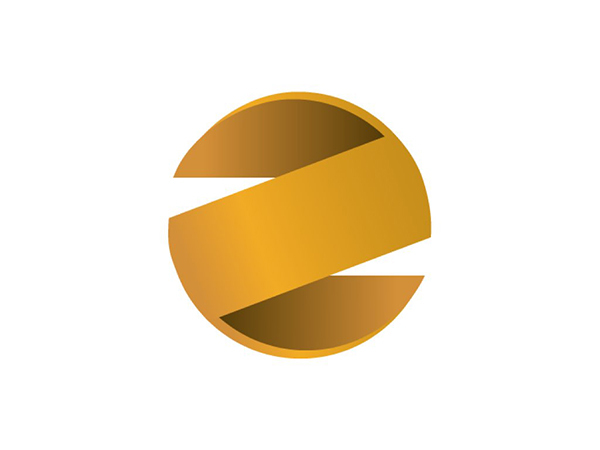 They collaborate with customers and their design teams in the interpretation of design products that embody quality, functionality and fashion of the business environment they represent. In one word, Anna’s style is eclectic. Inspired by fashion, architecture, trends and her southern heritage she reflects often on the world around her for inspiration. Marrying rich textiles and mixed-media in some of her most recent designs, Anna plays upon the clean lines and overall aesthetic of each piece. Recently, her “District” Sleep Between the Arms Sleeper Sofa won a Best of BDNY Product Design award. District is the foundational piece in her new Cityscape Collection which debuted this fall in New York. Anna and her husband will be welcoming their baby boy into the world soon! 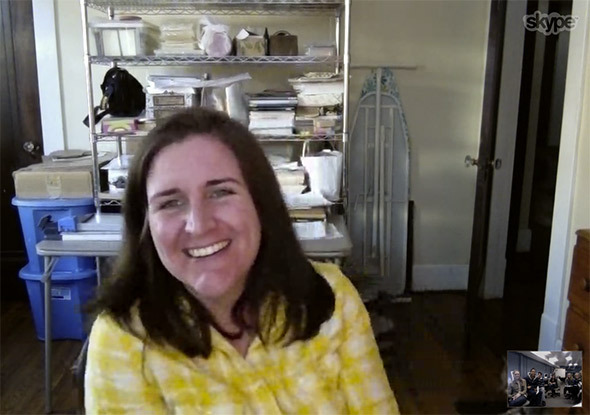 Our seventh guest visited with us via Skype– Casey Amelia Parkinson. (4/1/15) Casey and I finished our Master of Fine Arts degree together at Louisiana Tech University in May 2014. She attended Southeastern Louisiana University in Hammond, Louisiana for her Bachelor of Fine Arts degree. 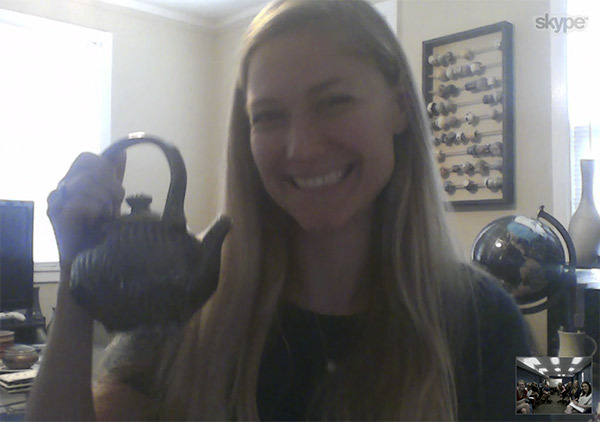 Casey currently lives in New Orleans, LA making ceramic art in her studio. It’s a dream come true for her to walk to her studio in the morning with her coffee cup in hand. Casey’s award winning artwork has been featured in national and international juried exhibitions. Casey is talented in different realms of ceramics– functional pottery, sculptures, and installation. In her functional art she aims to achieve a well-balanced design, refined craftsmanship, and an enhanced experience of use through interaction with the piece, and is inspired by nature for her carvings. 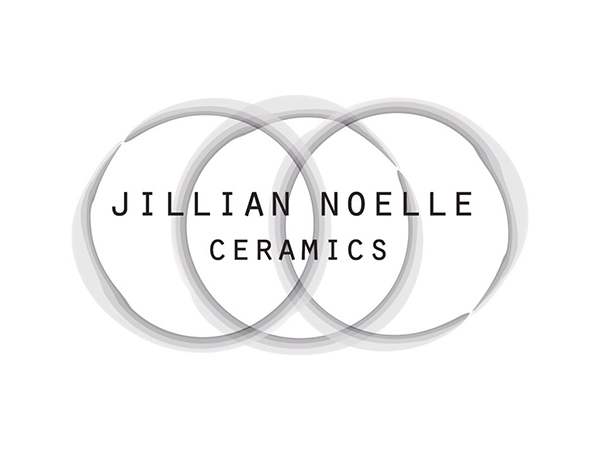 Her ceramic sculpture and installation art grows out of an exploration of inner and personal states of being as a means to better understand herself and human experience in general. Casey welcomes the exploration of various techniques or processes with clay, such as wheel throwing, hand building, or photographic transfer. Nontraditional glaze surfaces are often achieved by combing glazes in multiple layers, sandblasting or using found materials to enhance a more thought-provoking surface. She hopes to create a shared experience, eliciting a sense of wonder, including both light and dark elements and human emotions. 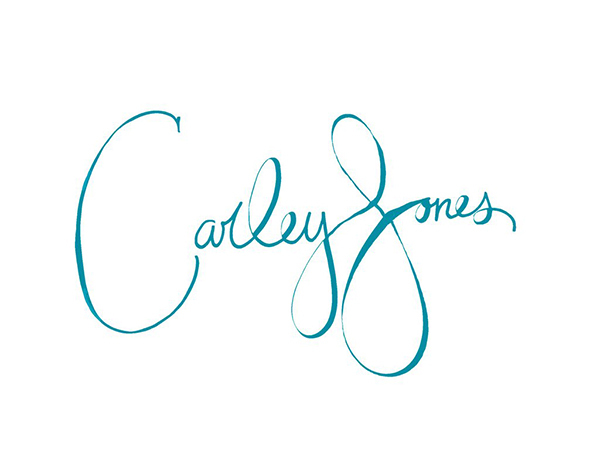 Visit Casey’s portfolio website HERE and shop her Etsy site HERE. 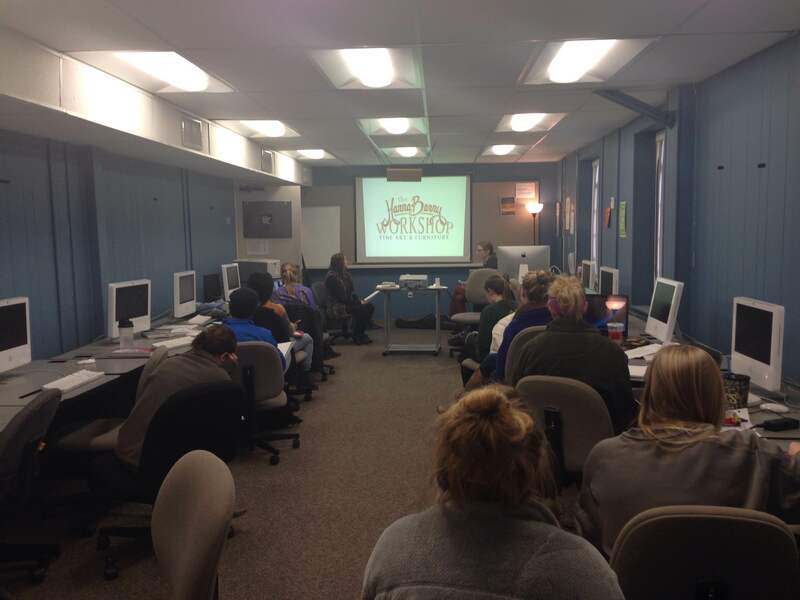 Our eighth and final guest of the semester responded to our questions via email– Jaime Johnson. Jaime also graduated with her Master of Fine Arts degree with me and Casey at Louisiana Tech University last spring. 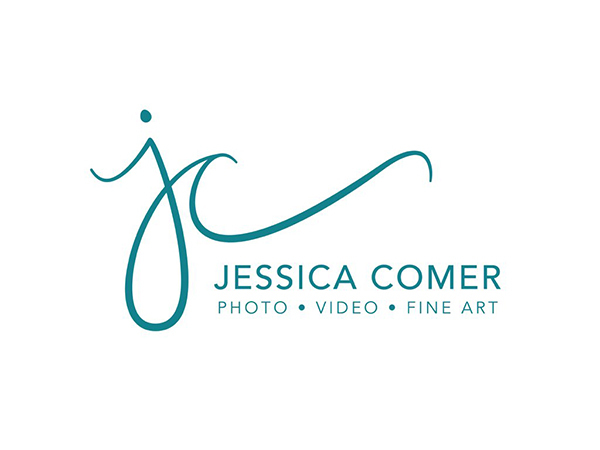 She received her Bachelor of Fine Arts degree in photography at the University of Mississippi. In graduate school she became highly drawn to the cyanotype process, and has been making a name for herself with her imagery that chronicles the intimate relationship of a feral woman and her surrounding natural environment. 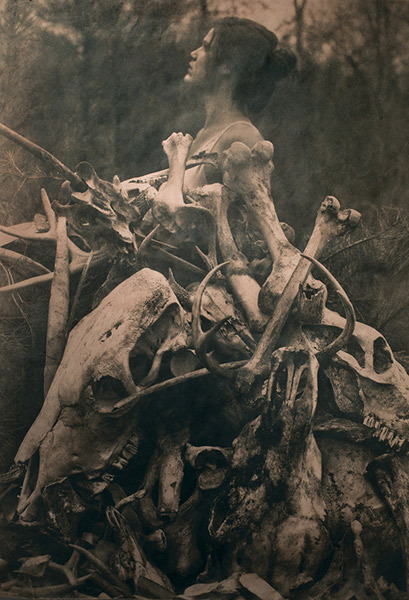 She collects the bones, branches, and flora of her world and treads with the animals, both dead and living. The cyanotype process shifts focus from potentially colorful landscapes and figures to patterns, textures, and the relationships of forms within the images. Discovery—both psychological and physical— is present and reveals each of us, whether human or animal, is a part of a shared experience. Untamed ultimately reflects upon the forms, the impermanence, and the interconnectedness of nature’s life. Jaime was named a finalist for the 2014 Clarence John Laughlin award and her work has been shown nationally in venues such as the Center for Fine Art Photography, The SOHO Photo Gallery in New York, The New Orleans Photo Alliance, and the Ogden Museum of Southern Art. Her series Untamed recently won the Grand Prize in the Maine Media Workshops international contest Character: Portraits and Stories that Reveal the Human Condition. She Jaime’s portfolio website HERE. My Advanced Computer Studio bunch has determined their personal professional goals, and are close to finishing their logos. In the meantime, we have invited professional guests to speak to us through Skype and Google Hangouts to answer students’ questions. 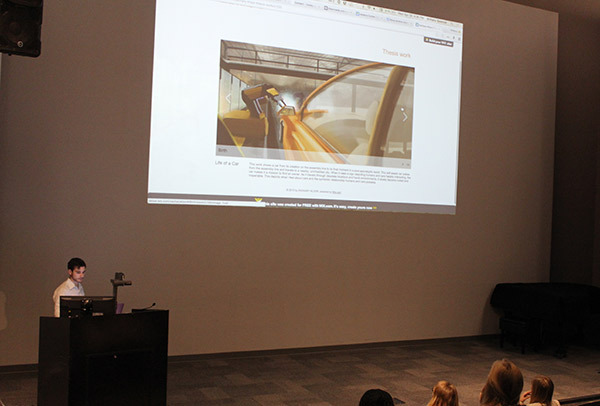 Sarah Qarqish and Morgan Welch of HannaBerry Workshop from Jackson, MS were our first guests and visited the class in person earlier this semester. Read about it HERE. (Update: Sarah and Morgan were married on Feb. 21st!) Each guest chosen to visit has goals in common with students in my class, and are willing to impart their wisdom of what to do (and not to do) until and after graduation. 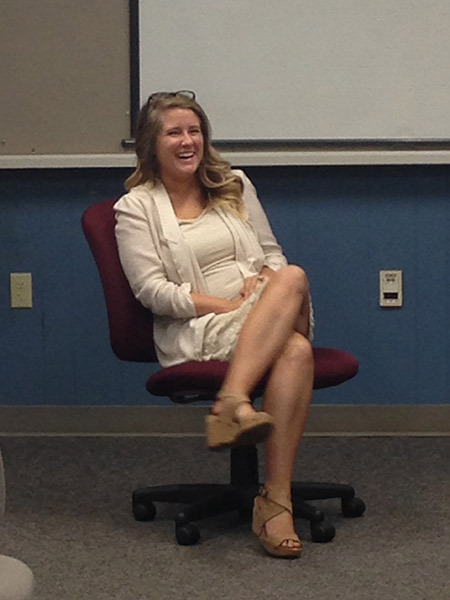 Our second guest of the semester was my longtime hometown friend Anna Jones. (2/9/15) We were even room-mates while attending Mississippi State University for one year. 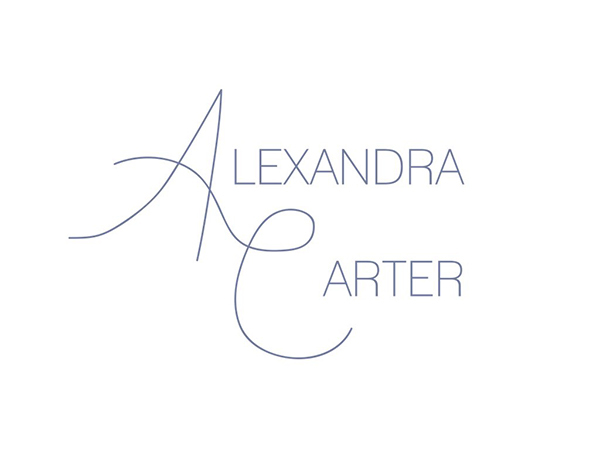 Anna is an interior designer for The McCarty Company in Tupelo, MS– an architecture, interior design, and construction company. She specializes in healthcare, eldercare, and higher education interior designs, and works closely with the architectural team. They carry out a number of large projects in the state of Mississippi, and are currently working on dorms for Mississippi State and Ole Miss. 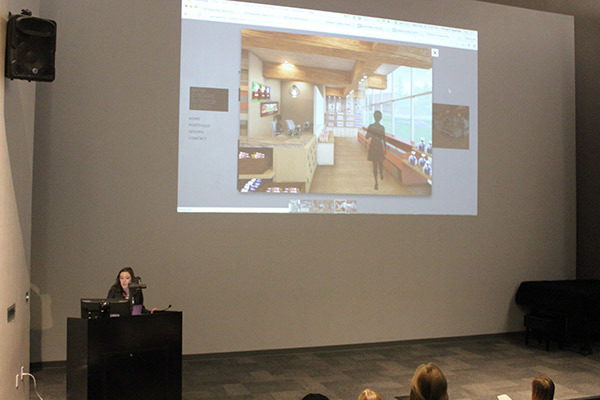 Anna kindly answered the interior design students’ questions with her honest and humorous nature. She had us laughing for most of the conversation! Anna really stressed that the things they learn in their classes is necessary knowledge and needed for the real world. She also gave them a lot of portfolio tips. Our third guest was my undergraduate friend Kate Whitley. (3/2/15) Kate graduated from the Mississippi State University graphic design BFA program a semester before me. 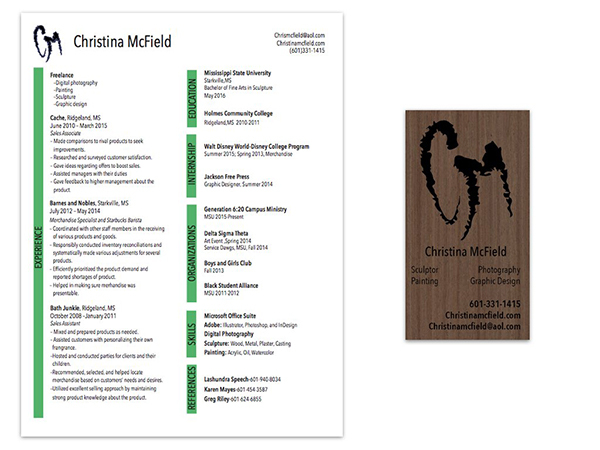 (See her undergraduate portfolio HERE.) We had a number of classes together, and it has been really nice to see her flourish since graduation. She even married our talented fellow design classmate Dave Whitley and they currently live in East Nashville, Tennessee. Kate is the designer behind Little Things Studio, a small business that operates through her Etsy page and craft shows. 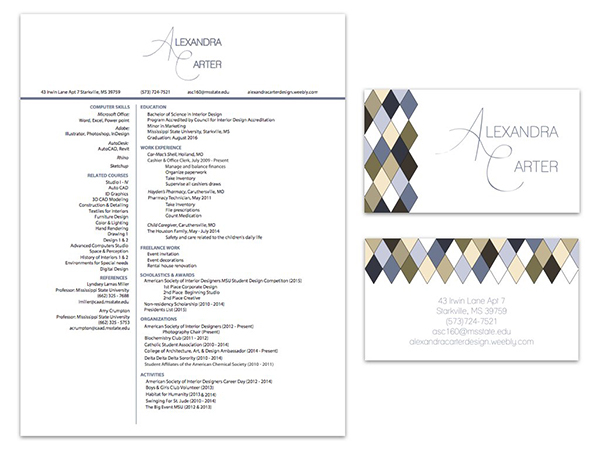 She sells printed goods such as posters, calendars, bookmarks, stationary, and even iPhone cases. You can keep up with her on her Facebook page. Kate also has an Etsy page for her beautiful hand-painted scarves. 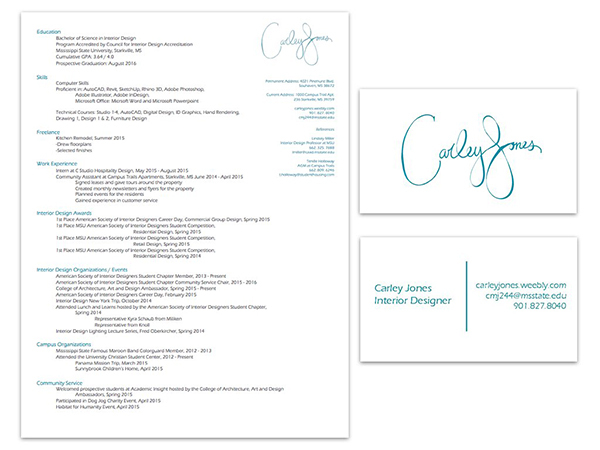 She stays busy doing the design work she loves, but sometimes freelances too. Most recently she did custom hand-lettering work for the devotional app SheReadsTruth. Take one decision at a time. 90% of businesses die in their first year. Make it a goal to not to be in that 90%! FIGHT TO DO WHAT YOU LOVE. Love your customers and clients. Use your Mississippi hospitality while speaking to others. Let people into your life that will encourage you, and not feed you lies. If you don’t have confidence in something [such as a method of art and design], start doing it and work on it! Be really good at everything or really good at something specific. Have an attitude of confidence in yourself. Value yourself. Have a solid vision for yourself and work toward that. [On finding business advice] Find people that will spend time with you and let you pick their brains. Our class’ fourth guest is a new friend to us all, Eliott Lilly. (3/4/15) Eliott is a freelance concept artist who works for the video game and movie industry, specializing in environment, vehicle, and weapons designs. 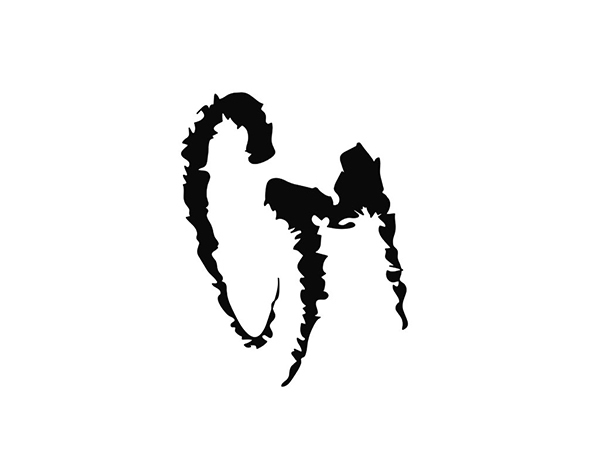 He has worked on several AAA video game titles including F.E.A.R. 3, Rage, DOOM, and currently Call of Duty. (The students and I felt a little star struck!) See his portfolio HERE. You can also keep up with his Facebook page. He currently resides in Dallas, TX. He also teaches introductory concept art classes to college students, including Drawing IV at Mississippi State University with Professor Alex Bostic through online streaming. Eliott spent time explaining the job of a concept artist, because it’s a fairly new field. Such artists must be good at illustration, rendering, problem solving, and willing to “wear many hats.” So much of the job is trial and error. Eliott may be assigned a project to design a video game weapon, and he must figure out how it will look and operate. After so many sketched drafts are presented, he may move on to the digital creation, and eventually something be approved to be polished up to the point of looking realistic. Then a video game designer will put those concept images to work in the game. Eliott is a major encourager of students making the most of their education, and putting the skills to use so the education is not a waste. If you want to learn something to make yourself more marketable, find mentors that are willing to help you get there! Find what makes you happy, and pursue the heck out of it. Don’t follow trends. You’ll just be “another.” Bring something new to the table. Do YOU. Show it off. Someone, someday will see it and give you a shot. BE THE TREND-SETTER. Your art has to grow. There has to be change with your best work ahead of you. Try new things. Take risks. Spend money to get the quality tools you need to produce your work. NEVER put mediocre work in your portfolio that will put any doubt in the employer’s mind that you are the one for the job. Portfolio images need to instill trust. When applying for jobs, research companies and their focus. Find the names of people who work there, and research those people online to measure your work against theirs. If your work doesn’t completely match up in quality, work on your craft longer and pursue the job again later. To be a freelancer, you have to know a lot of people, and a lot of people have to know you. Create a LinkedIn account (the Facebook of the professional world). It’s a great way to find out who’s who. Contact the people who inspire you. Keep up with them online, and develop some sort of relationship with them. 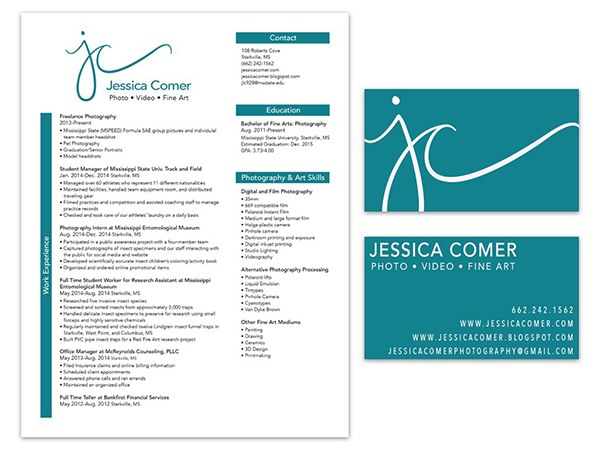 Do all you can to get people to look up your portfolio website. Go do something that will be available to the public eye. Build an audience. Do it with intent. Post videos and tutorials. People will see it, become inspired, may look up your website, and lead to new work for you. BEST WAY TO FIND A JOB: Create the opportunity by doing something for yourself that you have a passion for. A job will find you through that. He had SO MUCH GOODNESS to offer that we visited for about 2 hours, and we loved every minute of it. His encouraging nature uplifted the upperclassmen in facing the job market for their generation, because he provided great, reasonable tips to help their chances of making it in the world. As a freelancer in the video game and movie industry, finding new jobs is a common practice for him, because once a project wraps up, he’s on to finding the next job– the next project. 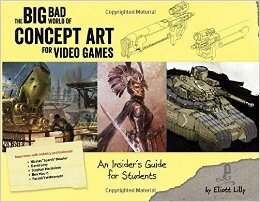 Elliot also has written two books about concept art! The headline title for both is The Big Bad World of Concept Art for Video Games. You may pre-order one book from Amazon now, subtitled An Insider’s Guide for Students. The other book subtitled How to Start Your Career as a Concept Artist will be available online around the end of this year. I highly recommend that anyone who is interested in this field to buy these books! He was a fantastic guest for our class, and we imagine his books will be awesome and informational, as well. A new course I’m teaching this semester is Advanced Computer Studio. 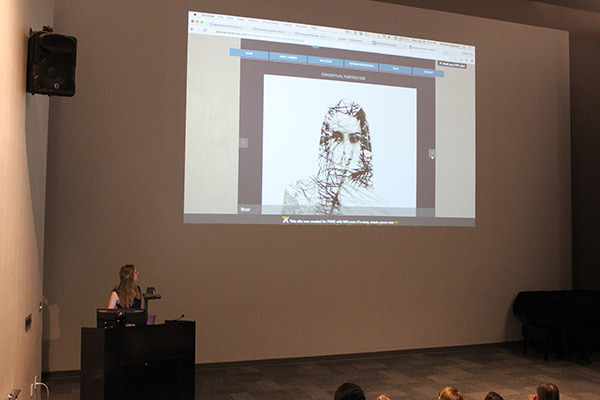 Upperclassmen Fine Art, Photo, and Interior Design majors learn marketing skills, determine professional development goals, and brand themselves by creating a personal logo, business card, résumé, and portfolio website. These students will be ready for their post-graduate debut. But in the meantime, a lot of information is being thrown their way! Since so many majors and post-graduate goals are represented in this one class, I thought it would be beneficial to invite a range of professional guests into the classroom to give direct advice to them. Our first guests: Morgan Welch & Sarah Qarqish, the collaborative team behind The HannaBerry Workshop in Jackson, MS. Not only do they work together– they are engaged! They are makers of fine art and furniture. Visit their website HERE to check out their work and skills. A little education background about them: They both graduated with their BFA a couple years ago from Mississippi State University. Morgan’s focus was sculpture. Sarah’s focus was graphic design and drawing. 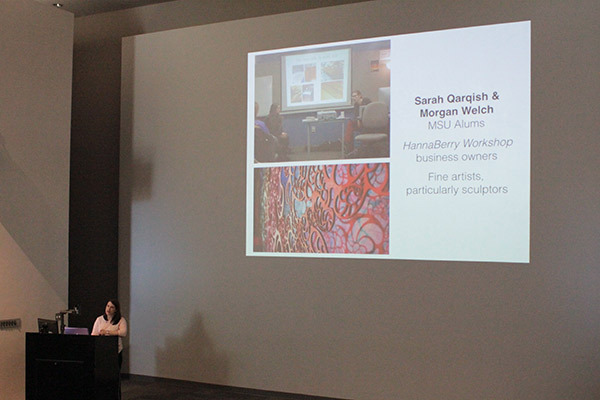 After graduation, Morgan worked with another sculptor, and Sarah worked at a graphic design firm. After some time in those jobs, they decided to pursue their dream of opening a business together. Last year they made The HannaBerry Workshop a reality, dabbling in fine art, graphic design, furniture, sculpture, architecture, cabinetry, interiors, signage, and more. They are up to the challenge of diving into anything with their combined talent. Their business name came from their middle names, which are also their mother’s maiden names. Sarah= Hanna; Morgan= Berry. Those names work well together, and add a special touch to their branding. They have even attracted the likes of art galleries, and are currently showing in the Ohr-O’Keefe Museum of Art in Biloxi, MS. Read about it HERE. They also worked to receive a grant to pursue a public installation opportunity for the Mississippi Museum of Art in Jackson, MS. Read about it HERE. Anyone may participate in submitting their hand- or digital-collaged images that represent their happiness, and will be included in the structure. Such a cool idea! As young professionals with their own thriving art business, they sparked the interest of my students to be prepared with great questions. Audience. Choose a specific age range and type of person to target. How to represent yourself. What are you and your business about? Colors. Colors have psychological impressions. Choose what makes sense for you and the vibe you want to communicate. Straight-forward & eye-catching. Do not confuse your audience about what you do, and make it interesting so they do not pass you by. 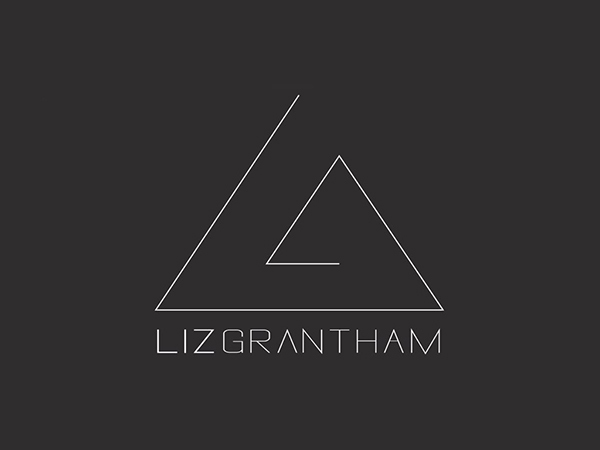 Make your logo work at different scales. 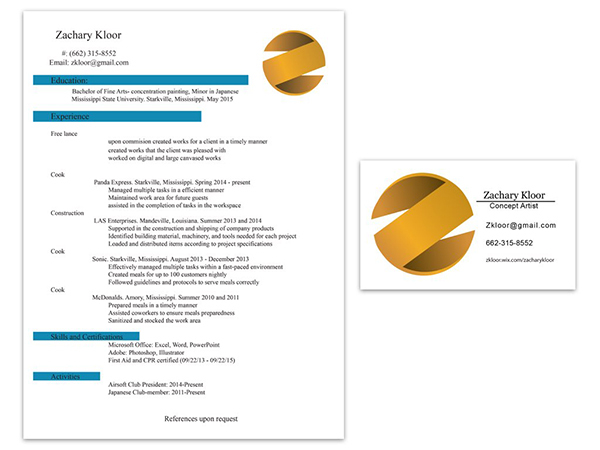 Does it look correct scaled down to a business card size? Billboard size? Getting into the “real world”: You will quickly realize after graduation that the workplace is about making money, and can really hamper on your dream and encourage you not to follow it. Don’t become overwhelmed with that. If you’re not feeling fulfilled, something must change. In thinking about your future career: How do you want to spend your day? Do you want to go to an 8:00–5:00 job? Or wake up later in the morning and work through the rest of your day until you’ve had enough? Consider the lifestyle you have or want. Factor that into your career options. Starting your own business: It may be best to work for a firm when you’re fresh out of school to get some of your projects on the map, and some experience under your belt. Then when you’re ready to make the leap, open your own business. Keep in mind it takes a lot of work, and the market is saturated with small businesses. Not everyone succeeds. If you can find someone to partner with that you get along well with and does a quality job in art and design, it helps professionally and personally. Both of you have to give the business your all, or the partnership will fall apart quickly. Be sure this person is someone you can be honest with and fight for your opinions without fearing you’ll hurt each others feelings, because you’re both working toward the same goal. Use your skills to make money. It may be filler work at times, but it’s freedom to make your own schedule, make money, be your own boss, and make time to do the personal art that you’re passionate about. Use a contract for EVERY client, no matter who they are– your brother, cousin, a stranger, or Mother Teresa. You want to be fair, but also protect yourself. Contracts let you lay the groundwork so clients will not take advantage of you. Be clear of your hours of operation, and the limitations you will work. If you’re clueless about the business world, take time to research what you need to know– how to do taxes, finding a banker and CPA, etc. Find people who have great business skills to ask for their advice. People are around who are willing to help. Charging: Do your research online to find the average rate of items similar to your work. You may have to charge a little less than your competitors to start getting work, but that season shouldn’t have to last long if you are good at your job. People will know quality when they see it, and will trust you with their ideas and needs. Also consider, do you want to pursue many projects on a cheaper price scale, or pursue higher-end quality large projects that will pay more? Do not forget to factor in everything you’ve done to make the project happen, and add it to your total. This includes traveling expenses, ordering materials, and hiring other craftsmen needed to accomplish something in addition to what you’re doing. Also be smart about the cost of supplies. Supplies tend to be substantially cheaper in Mississippi cities vs. larger cities such as Nashville and Atlanta. If you charge by the hour, be honest about the hours you are actually working. If you’re taking a lunch break, do not include that time in your total. Put yourself you there: People want to believe in art and design. But you must believe in yourself first! Confidence is attractive! Don’t be afraid to promote yourself! Send an email out to everyone you know, potential clients, bloggers and professionals who you admire with information about you and images of your work. There are people out there that genuinely want to help promote you. Talking with people may get you an article in a newspaper or magazine, or an interview on the radio. Get involved with your community to meet new people. People love seeing young professionals who have a fire in them, and they want to be a part of that! Practice “elevator speeches” for those moments you meet a stranger at a party or work event, and gives you 30 seconds or 1 minute to explain what you do. Make it engaging for the other person to hear so they will want to continue the conversation. Grant writing: This is a great way to receive money to accomplish something bigger than you. Maybe it’s a particular project, or you need expensive supplies to kick off your business. Apply for many different grants from different organizations. This money will serve as your payment to pay the bills and afford what you need until you make money from it. As artists and designers, you have to remember that you will not make money off of your work overnight. Final words: If you have a goal, set your mind to it and you can succeed. If you’re unhappy about what you’re doing for a living, it’s up to you to make a change. Only you are responsible for your life choices. Be brave. Step out from the norm. Be happy.